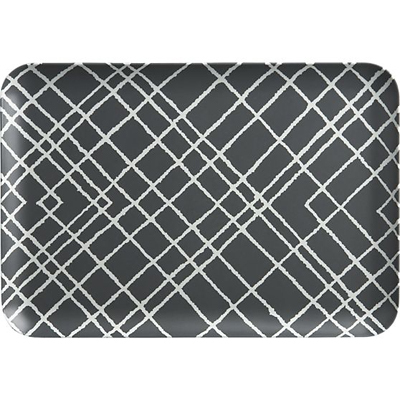 This Plaid Tray serves up fashion-savvy plaid in casual white crisscrosses on matte gunmetal grey. Made of easy-care melamine. 13″Wx9″H. $8.95. Buy here.